Taking a breather from the official Top 100, let me briefly sing the praises of a worthy spin-off. Wunderkind chef Alex Stupak reinvigorated New York’s tired ideas about Mexican food two years ago when he opened Empellon in the West Village. The casual, convivial tacqueria with the unpretentious atmosphere belied the chef’s interpretive – and elevated – take on Mexican: chicharonnes arrived at the table piping hot, noisy as a bowl of Rice Krispies; sweetbreads, maitake muchrooms, and pastrami became fodder for tacos the likes of which you couldn’t stop eating; and then there was the seductive slate of outrageous salsa – habanero grapefruit, spicy salsa de arbol, pasilla mezcal, and my favorite, smokey cashew. For New Yorkers too long forced to endure the banalities of overstuffed enchiladas, or even worse, burritos, Empellon was a beacon of hope, appropriately south of the 14th Street border. With Empellon Cocina at the front lines of the East Village, Stupak continues his journey, refining his cuisine by way of creatively composed plates. 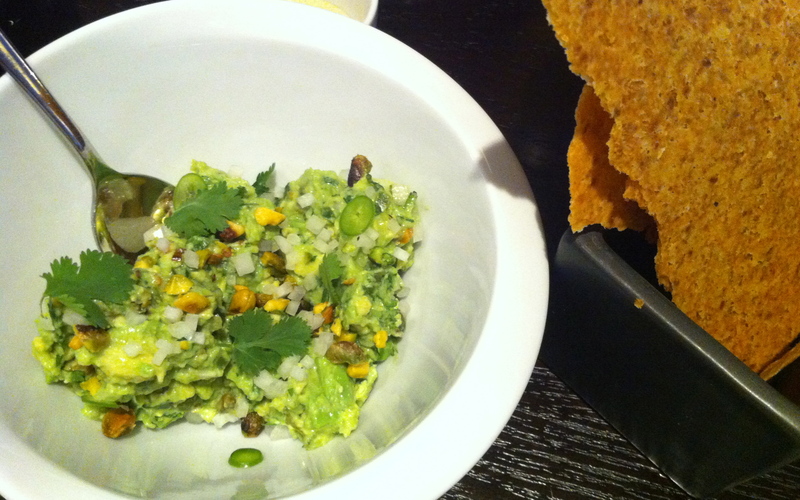 No need to worry about things getting too haughty, however: a pistachio-flecked guacamole is still an essential beginning. Served with earthy crisps of warm masa, you’ll never be able to look at mere mortal “chips” the same way again. Roasted carrots tangle with mole poblano and watercress in a beautifully calibrated starter. The lusty flavor of fried lamb sweetbreads is set off by nuggets of parsnip and cleverly cut with sliced radish and a sweet salsa papanteca made with pumpkin seeds. Chef Stupak obviously believes that texture deserves a pride of place usually accorded solely to flavor and he proves it in dish after dish. 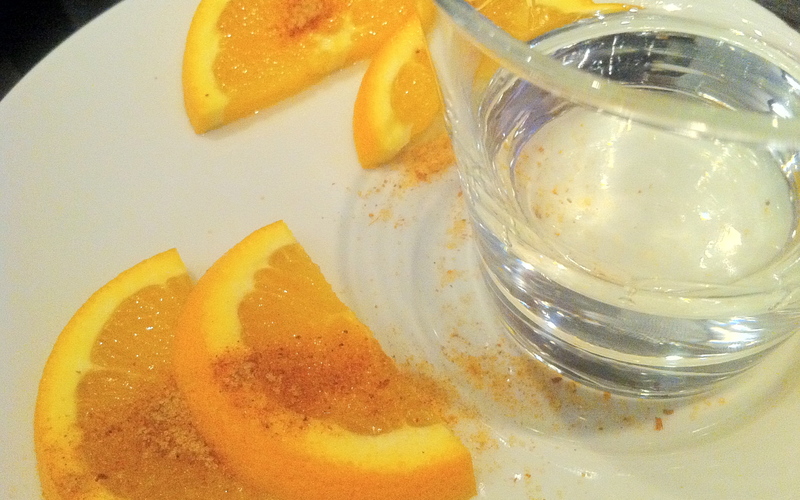 (Even the mezcal comes with slices of orange dusted with ground, salty chapulines.) Without sacrificing the integrity of any single element, his plates come together greater than the sum of their parts. The sociable atmosphere at Cocina is as buoyant as the list of tequila is long, but don’t be fooled by the noise: there is serious business going on in the kitchen.